Ceramic White 2018 Mazda Miata Club RWD Manual 2.0L 4-Cylinder Black W/Red Stitching Cloth. 26/33 City/Highway MPG Midlands Mazda is proud to be your #1 source to buy Mazdas in Columbia, Lexington, Irmo, West Columbia, Lugoff, Camden, Sumter, Newberry, and Chapin South Carolina. Our Obsession is Your Satisfaction. Ceramic White 2018 Mazda Miata Grand Touring RWD Manual 2.0L 4-Cylinder Black W/Red Stitching Leather. 26/33 City/Highway MPG Midlands Mazda is proud to be your #1 source to buy Mazdas in Columbia, Lexington, Irmo, West Columbia, Lugoff, Camden, Sumter, Newberry, and Chapin South Carolina. Our Obsession is Your Satisfaction. Snowflake White Pearl 2018 Mazda Miata Grand Touring RWD Manual 2.0L 4-Cylinder Black Leather. 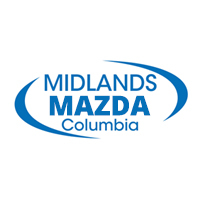 26/33 City/Highway MPG Midlands Mazda is proud to be your #1 source to buy Mazdas in Columbia, Lexington, Irmo, West Columbia, Lugoff, Camden, Sumter, Newberry, and Chapin South Carolina. Our Obsession is Your Satisfaction. Jet Black 2018 Mazda Miata Club RWD Manual 2.0L 4-Cylinder Black W/Red Stitching Cloth. 26/33 City/Highway MPG Midlands Mazda is proud to be your #1 source to buy Mazdas in Columbia, Lexington, Irmo, West Columbia, Lugoff, Camden, Sumter, Newberry, and Chapin South Carolina. Our Obsession is Your Satisfaction. Machine Gray 2019 Mazda Miata RF Grand Touring RWD Manual 2.0L 4-Cylinder 26/34 City/Highway MPG Midlands Mazda is proud to be your #1 source to buy Mazdas in Columbia, Lexington, Irmo, West Columbia, Lugoff, Camden, Sumter, Newberry, and Chapin South Carolina. Our Obsession is Your Satisfaction. Machine Gray 2019 Mazda Miata RF Grand Touring RWD Automatic 2.0L 4-Cylinder Recent Arrival! 26/35 City/Highway MPG Midlands Mazda is proud to be your #1 source to buy Mazdas in Columbia, Lexington, Irmo, West Columbia, Lugoff, Camden, Sumter, Newberry, and Chapin South Carolina. Our Obsession is Your Satisfaction.